Malayalam Cinema lovers will be spoilt for choice this summer as a massive number of films are lined up for release from February to May end. Most of these movies include a stellar star cast that includes Mohanlal, Mammooty, Dileep, Prithviraj, Dulquer Salman, Nivin Pauly, and Kunchacko Boban. 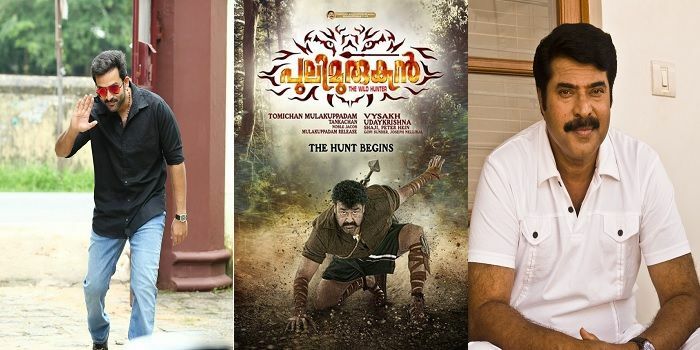 Mohanlal will play the role of a hunter in his first 2016 release. Directed by Vyshak, Pulimurugan also stars Bengali-Telugu actress Kamalini Mukherjee and Tamil actress Namitha. The makers have also roped in South India's renowned action choreographer Peter Hein for action sequences. Mammootty's second release of 2016, White is also eyeing for a summer release. Directed by debutant Uday Ananthan, the film marks the acting debut of Bollywood actress Huma Qureshi. King Liar is the story of Sathyanarayanan who is diagnosed with a unique disease called pseudologia fantastica that leads to compulsive lying. Film has been directed by Lal and script penned by Siddique. 'Premam' star Madonna Sebastian is playing the female lead. The movie also stars Asha Sarath, Lal, and Joy Mathew. The third directorial venture of Rajesh Pillai, Vettah stars Manju Warriar, Kunchacko Boban, Indrajith Sukumaran, and Kaadhal Sandhya. With script by Arunlal Ramachandran and music by Shaan Rahman, Vettah is a joint production of Rajesh Pillai and Haneef Mohammed. Directed by Jijo Antony, Darvinte Parinamam stars Prithviraj, and KL10 Pathu actress Chandini Sreedharan. The movie has been produced by August Cinema, a joint production of Prithviraj, Tamil actor Arya, director Santhosh Sivan, and producer Shaji Nadeshan. Prithviraj will be looking for his fifth super hit in a row after Ennu Ninte Moideen, Amar Akbar Anthony, Anarkali, and Paavada. Actor Nivin Pauly and director Vineeth Sreenivasan of Malarvadi Arts Club and Thattathin Marayathu fame have teamed up for the third time for Jacobinte Swargarajyam. The film revolves around modern youngsters and their relationships with parents and family. Also Read: Kabali: Has the Rajinikanth, Radhika Apte film been postponed to May 2016? Actor Dulquer Salmaan will co-star with Premam actress Sai Pallavi in his upcoming film, Kali. Written by Rajesh Gopinadhan and directed by Sameer Thahir Kali the movie also stars Chemban Vinod Jose, Soubin Shahir, Vinayakan, and Sunny Wayne. The music has been composed by Gopi Sundar. Apart from the above-listed films, another film which is bound to create history this summer is Ilayathalapathy Vijay's film, Theri. Vijay has the highest number of fans in Kerala fans amongst non-Malayalam lead actors and all of his films ensure a bumper opening. In fact, the actor's last film, Puli, which a disaster otherwise, opened to massive response within the first weekend.